Often-time, in life-threatening upper airway obstruction, especially during tactical field care, performing tracheostomy is vital to the survival of K9s. 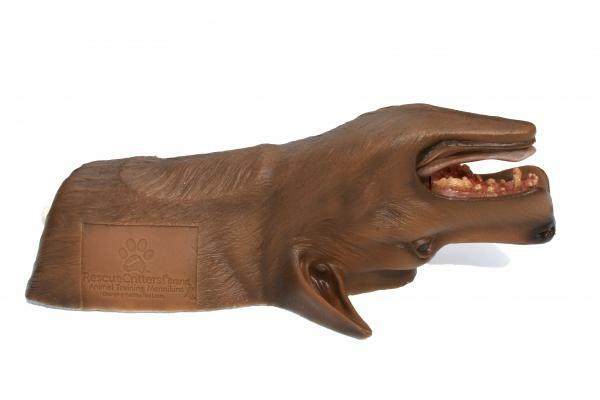 Based on the numerous requests from military and critical care customers, Rescue Critters is pleased to introduce Louie Tracheostomy Model. 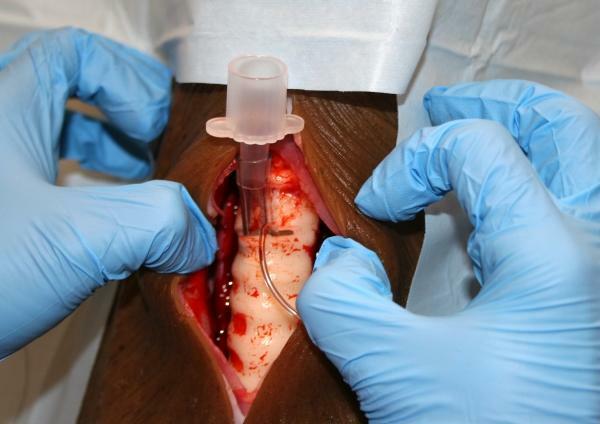 Cricothyrotomy may also be performed on the model. Incisions can be made to the skin layers, the cricothyroid membrane and between the tracheal rings. Louie comes with three sets of replaceable tracheas and skins and one artificial lung. 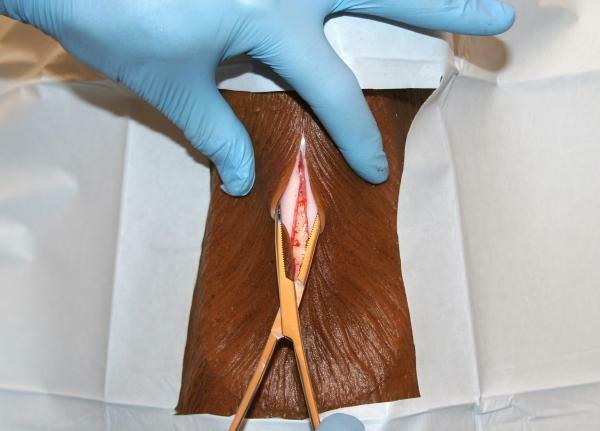 Incisions and sutures can be made on the skins and trachea. Additional tracheas and skins may be purchased separately. The model does not come with artificial blood.